CHARLOTTE, NC (May 23, 2016) – CARSTAR Auto Body Repair Experts is adding to its list of great collision repair shops in the Keystone State with the addition of CARSTAR AW Golden. The business has been owned and operated by the Golden family since 1919. It is currently run by Kathryn Goodman, who serves as company president, and her husband, Larry. 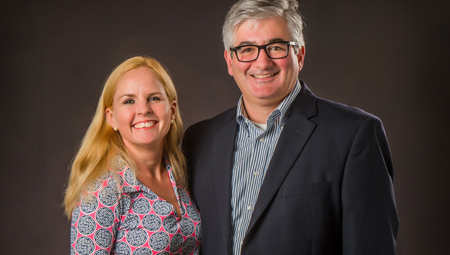 The husband-and-wife team have been working together since 1989. The shop is located at 2526 Center Ave., Reading, PA, 19605, at the intersection of Route 61 at the Route 12 By-Pass in Muhlenberg Township. The vast amount of resources and business relationships that CARSTAR can offer are part of the reason why AW Golden chose to join the network. CARSTAR AW Golden has 70,000 square feet under one roof. They are an I-CAR Gold certified collision repair facility. The shop is set up to perform quality repairs on all makes and models of cars and trucks. The shop employs the latest in not only collision repair technology, but also offers a complete menu of maintenance and detailing services.